Ah, fall. You can tell that fall is in the air when you see Halloween candy begin to appear at the grocery store, when pumpkin spiced lattes begin to pop up at every coffee shop, and when you begin to crave hearty warming stews. 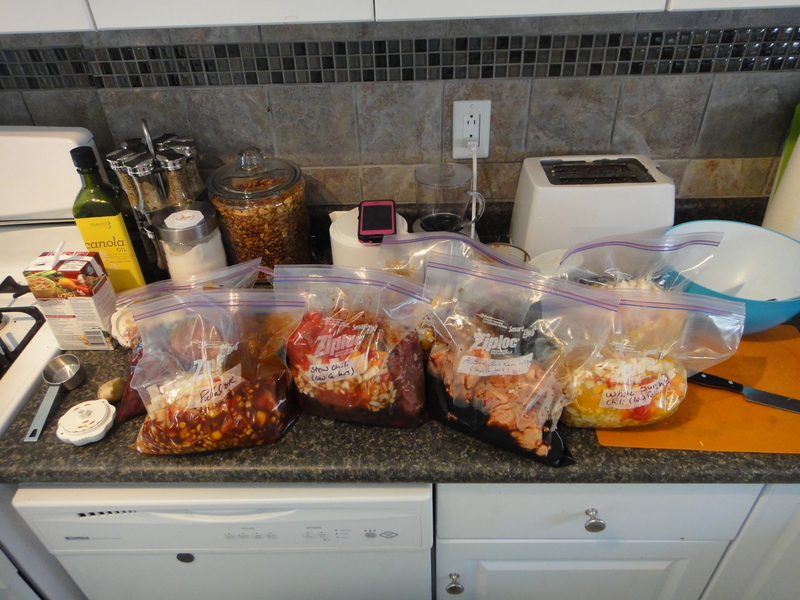 This week, I made some more freezer meals for my mommy, who is recovering from hip surgery. 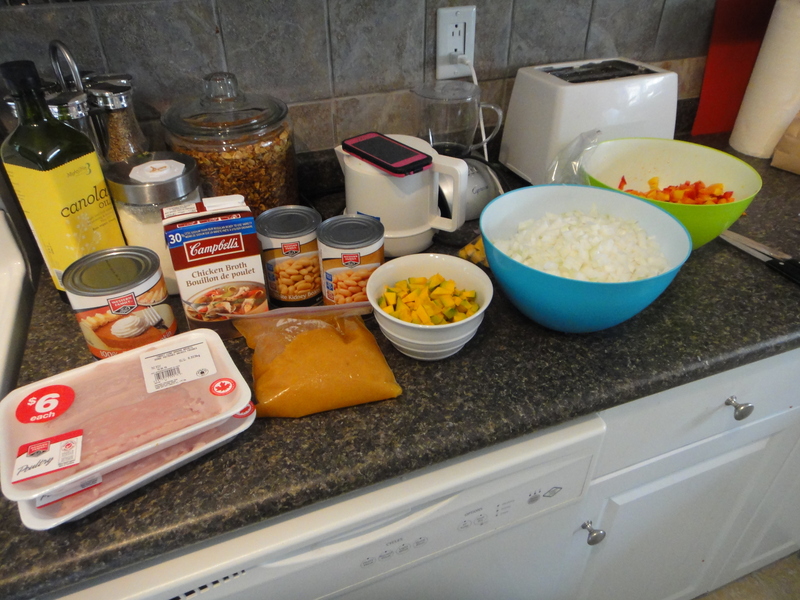 I figured it would be smart to make some crockpot freezer meals, because they are super hands off and a cinch to make! Today on the blog: White Bean Butercup Pumpkin Chili. Nothing says fall to me like squash. I love squash, especially buttercup (my all time favourite). It has deliciously hearty, sweet notes of awesome. Plus, they are extremely good for you! First things first, brown up the turkey in a skillet, adding all your favourite spices. Next, throw all other ingredients into your big ziplock freezer bag. Seal the bag airtight, and write what it is on the bag, with instructions on how to cook it. At the end of the day, I made 8 crockpot freezer meals and loaded up my mom’s freezer. She’s got plenty of tasty deliciousness to get her through the next few weeks! Here’s the tasty chili, all cooked up and ready to be enjoyed. Serve with a dollop of sour cream, and enjoy. A lot! Begin by browning turkey in a skillet with a little bit of cooking oil and add you favourite spices to season. Set aside and let turkey cool. In the meantime, using a very sharp knife, peel and cube the buttercup. This is definitely the most labour intensive part of making this recipe, but it is 100% worth it. 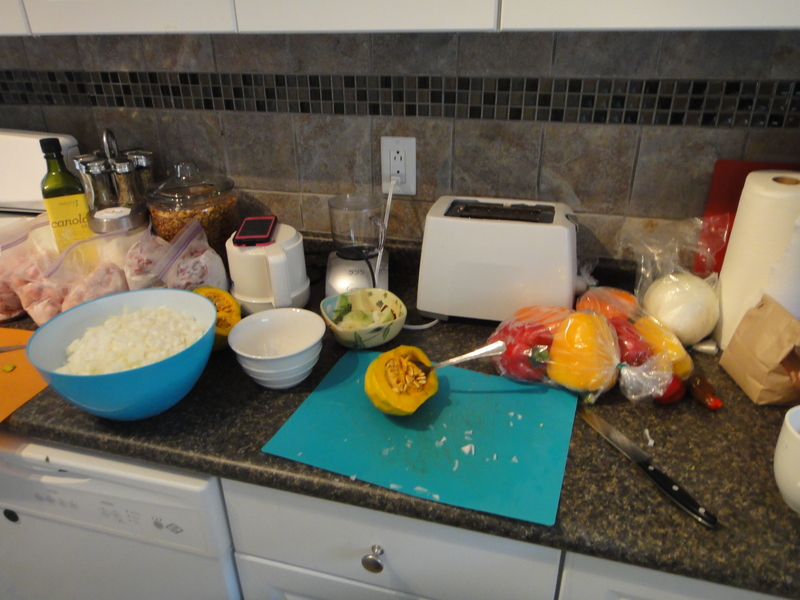 Next, dice your onions and peppers. Once the turkey is cooled, add all ingredients to a large ziplock bag. You can freeze for up to 3-4 months, or you can have on hard for a quick weeknight dinner. To cook, throw in the crockpot on low for max 6 hrs (I say this because any longer than 6 hrs makes the squash disintegrate, and it is so much tastier when you have cooked, but firm, pieces of quash throughout the chili.) Serve with a dolop of sour cream, or any of your other favourite chili ingredients. Cosy up on a cool fall evening and enjoy, a lot. Ooooh I need to eat that! Looks delish. I’ve been really craving fall meals. This warm weather is throwing me off! Not that I’m complaining though. I know what’s just around the corner for us ! Thanks for the comment Lael. It’s a great recipe. Everyone enjoyed it quite a bit!